Egg Coffee, Boiled Coffee - or: Why Would Grandma use Eggs to Make Coffee? There are two kinds of 'egg' coffee. One uses the whole egg, including shells, the other just uses an egg white. Neither of which seem to be used much today and there is a lot of misinformation and confusion over how and why an egg would have anything to do with brewing coffee. I've even heard of some mistaken souls break and beat a whole egg in their coffee cup and add brewed hot coffee to it... and wonder why anyone would drink what basically is coffee egg drop soup. Well... no one would. You're doing it wrong. My heritage is Swedish and German and although it's well known for being a Swedish or Norwegian coffee, the side of my family that used egg in their coffee was the German side. Also, my father-in-law (who comes from a German background) made coffee this way. The first reason for using egg shells and/or egg whites in coffee is to give the coffee clarity as well as improving the flavor. The second reason is for a boiled coffee, the egg traps the grounds, which is again, for clarity but serves a purpose as well. Until percolators and coffee brewers came into use, using an egg to make boiled coffee was a given. After brewing styles improved, the need for the egg was lost. Today you might only need to utilize egg coffee if you are camping making "camp coffee" or "boiled coffee" in a pot or pan or if you want to give it a go in a pour over coffee for fun. These are 2 versions to get you started and are out of a cookbook from the 30's. Use 2 tablespoons coffee to each 3 cups of water. Use cold, clean water and grind the coffee beans just before using to a moderately fine grind. Add half of the white of an egg to each 2 tablespoons coffee and put into a perfectly clean coffee pot. Add enough cold water to moisten the coffee. Pour the measured water over. Cover the pot closely and boil 10 minutes. Pour in half a cup of cold water, draw the pot to the side, off the heat and allow it to stand 5 minutes to settle the grounds. Never let the coffee boil after the cold water has been added. Pour carefully into cups to serve piping hot, keeping the grounds on the bottom, trapped in the egg. Put 6 cups of water to boil in a kettle. 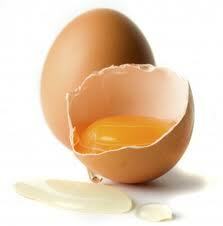 Meanwhile, break an egg into a cup, crunching up the shell as well. Add about 1/4 c water to the egg and beat with a fork. Place 4 T fresh ground coffee into a coffee pot. Pour about 1/4 of the egg mixture into the grounds. Put the rest of the egg mixture into the refrigerator for later use. When your water comes to a boil carefully pour it over the coffee in the pot. Place the pot on very low heat and very, very slowly bring it to just the point of boiling. Remove from heat, pour in about 1/4 cup very cold water and let sit for 5 minutes to settle grounds. If you wish you can now pour the coffee through a fine sieve or simply pour slowly into serving cups to keep grounds trapped on the bottom. One of my grandmother's would save the egg shells from baking and cooking to crush and place over the grounds in her percolator. As a child I remember watching her do this as she used a percolator well into the early 80's as she loved the flavor of the percolated coffee over the taste of the coffee made in the Mr. Coffee machine she was given by her kids. In many churches where the 'church ladies' in charge of making the coffee in the urns for after service coffee and donuts, you will still find them breaking an egg and adding it to the grounds in the large urn. Whether or not the egg white and shells lower the acidity of the coffee, I don't know. That would involve testing I don't have access to, nor do I really care enough to go down that road! However, the older folk that I know in my own life that grew up making coffee this way will tell you it made the most delicious cup of coffee that was light, not too acidic and often times didn't even need the addition of sugar or cream it was so good on its own. The post in which I admit.... we are currently drinking.... Folger's. This week we (Mr. Coffee and I) are currently drinking.... Folger's. I know! Right? Here's the deal. Folger's is a joke in our family because it's the coffee my parents drink - and brewed to about the color of tea in their traditional coffee maker. It's what my Grandmother bought, it's what my parents bought. It's what the ladies at church buy for coffee and donut Sundays. It's what the office buys for the disgusting 'office coffee' that is served to guests. Although I do not consider myself a coffee snob - ground Folger's from the big can is just... awful. So WHAT am I doing drinking Folger's and why in the world would I admit it? This past week Mr. Coffee and I have been busy doing a kazillion household projects. He took one of his allotted vacations from work and instead of spending it on the beach, by a lake, in the midst of casino's or another relaxing way... we've been doing household improvement projects. And those projects and supplies cost money. And that money is the same money I had to split to do the grocery shopping last week. While walking through our local Sam's Club I stopped to pick up coffee and stared at the Starbucks Pike Place k-cups I wanted. Granted, I hate Pike Place coffee from their coffee shops - no matter the shop, no matter the store, no matter the state I'm in or the time of day, it tastes burnt. But the k-cup version brewed at home in my Keurig? Love it. But I don't love the price. As I reached past the Pike Place to my typical Colombian Sam's Club Daily Chef brand I saw Folger's k-cups were Colombian. My current favorite coffee. While I could get Daily Chef for about $23, it only comes with 54 k-cups. The Starbucks brand is only 54 cups for $45 but the Folger's was 80 cups for $37. Let's give it a try! Not bad. I brew my k-cups at the 8 oz. size (the middle button for those with Keurigs that brew at 6, 8 and 10). While I would love to brew at 10 oz. just to get a couple more swallows of coffee, it's not worth it if the flavor isn't enjoyable. So I brew at either 6 or 8 oz. and I've the Folger's k-cups in Colombian style (only) to be absolutely acceptable for a home brewed coffee. Piping hot (at 192 degrees), strong and black, it's a good tasting smooth, bold cup. When it starts to cool down the flavor will change - but all coffee's do that. Piping hot, it does not taste like your Grandma's coffee. Brewed at the 8 oz. size I found it to be rich and full bodied, just as a Colombian brew should be. And now... back to my coffee. 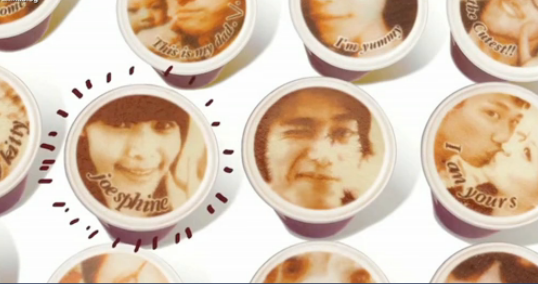 Coffee... with your face on it? Get your latte with an image of... you! A café in Taiwan may have solved everyone’s least favorite part about getting coffee. Not the fact that people spill coffee everywhere at the cream station. No, it’s the part where the barista misspells your name on the side of your cup! To fix this dire issue, Let's Cafe kiosks in Taiwan now offer a cup of coffee with your picture on it. That's right, actual pictures. Right now, these unusual coffees are just offered in Taipei, but maybe these latte portraits will be headed stateside soon enough. So...would you like to drink your face? It's not often you find a book that most every reviewer agrees is a 4 or 5 star book. This is one of them. As I pondered a good book that was "all about coffee" (talk about a broad subject matter) I saw this; The Blue Bottle Craft of Coffee: Growing, Roasting, and Drinking, with Recipes by James Freeman, Caitlin Freeman and Tara Duggan. With rave reviews, save one, it was a hit for those looking for information regarding roasting, brewing, recipes, home roasting, picking, blending, suppliers and more. The one sole less than sparkling review at the time of this posting was someone who bought the ebook (Kindle) version and was unhappy with the format. The thing is, formatting Kindles and any kind of ebook is completely and utterly different than any other kind of typing, writing and formatting you can do. If a book isn't meant to be an ebook but is quickly turned into one just to make it available in that form, it will not be formatted correctly. But the hard copy version of this book is raved about by critics and reviewers alike. Although I personally have no interest in purchasing green coffee beans and roasting at home, I do enjoy a good 'coffee' read, I like the information on brewing and I really, really love the recipes added. The Salted Chocolate and Vanilla Bean Ice Cream Sandwiches... oh my goodness! This book is highly recommended in three circles. First, for yourself and your own knowledge, education and entertainment. Second, as a gift for anyone who loves coffee, owns a coffee bar, has an interest in roasting and brewing or just loves both coffee and baking. Third, coffee barista's. Even Starbucks Masters have learned a thing or two from this book. Barista's are raving about it in reviews... which really, tells you pretty much all you need to know. In general humans are pretty similar so I'm going to assume most people's brains work like mine does; I can go from thought A all the way to thought Z in about 3.7 seconds. This is how this morning's post is being born. I am happily sipping coffee, looking at recipes and home decor at the same time when I see a rubber stamp and then think holidays and greeting cards and Christmas cards and then, oddly enough, rubber stamps (because I'm not a stamper and although I make and/or design our cards every year I don't use rubber stamps) and then thought; "Coffee themed stationary would be cool" and ta-da! This morning's post is born! The first one I found while looking around on Amazon was this "stay warm" coffee holiday greeting version. Eh, not my cup-of-tea... or should I say coffee? (groan....). I think it's cute for some personalities... it's just not my personality. LOVE this one. I clicked on the image to see the real size and it looks like it's about 1 1/2" by 2 1/4" high. This is a fun, simple design and one I would use on stationary myself. This one is more... whimsical? It's also a 4-piece set. However, there were no reviews and no details as to the exact size. Still, it's cute and would work well on a scrapbook page I think - or a cute coffee invitation. Coffee beans! Cute little beans that I think add to the coffee stamp above. I can picture something like this used on a menu or board at a coffee shop. The coffee cup imagine in the upper left corner and the beans in the bottom right. They go together quite well! Holy tiny coffee cups, Batman! Ha ha. LOOK at how cute these itty bitty cups are! 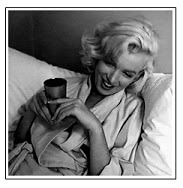 I think this image works well for coffee or tea. If you need a 'tea' rubber stamp this is a good option! I'm going to end with something that isn't a rubber stamp... but is coffee AND rubber stamping related! I found this gift basket that is for a coffee lover that also enjoys rubber stamping and wants everyone to know it. My own personal 'camping' coffee maker is a traditional, light weight, cheap, aluminum pot. It works fine but it does take up space and the bottom always has to be scrubbed to get the black soot off. For backpacking or travel or hotel use, it's not an option. Just for 'family' camping trips where we are bringing bins of 'things' to begin with. So... looking for other options this morning I found a collapsible coffee maker. Don't settle for instant, when you're on the trail or in camp. The GSI Outdoors Collapsible Java Drip lets you enjoy freshly brewed coffee, just as you would at home. Folds flat and weighs next to nothing, for easy packing. Collapsible drip cone holds #2 or #4 paper filters to brew 1 to 12 cups of coffee. The unique flanged design helps center the drip cone over mugs, cups and wide-mouth bottles for stable, spill-free brewing. Lid doubles as a trivet after brewing. The only complaint I've found has nothing to do with the product usage, but that it has a silicone smell when you first take it out of its packaging. But one wash with dishsoap and hot water and it's gone and you are good to go. Pour about a 1/3 of your water slowly over the coffee to let it bloom, wait a few seconds then the rest making sure you soak all the grounds. I get my water to a full boil to make sure its plenty hot. Almost everyone knows who Grumpy Cat is thanks to a video that went viral in 2012 in order to prove to Reddit users this was indeed a real 'grumpy cat' and the owners had not photoshopped her! Before long the video's had launched this sour-puss into kitty stardom. Not only did the original Grumpy Cat from Arizona soon have a fan page and t-shirts but now, is bringing grumpiness to your iced coffee! 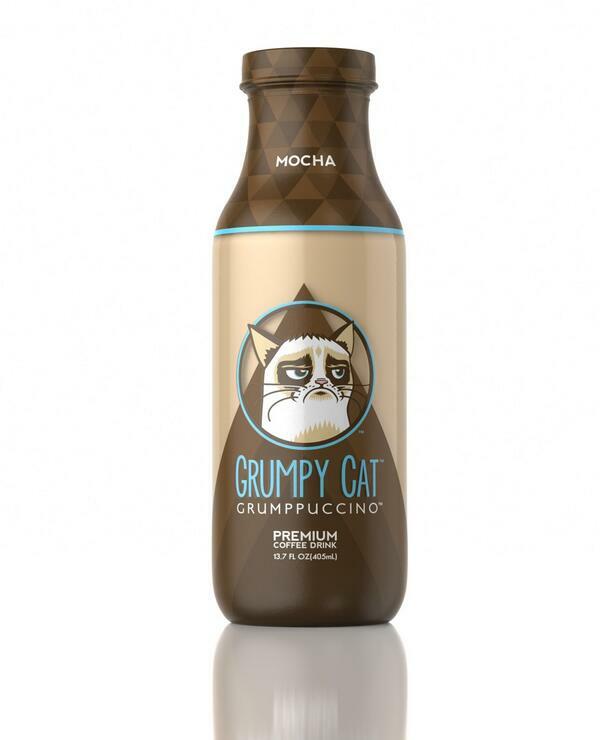 According to the official Twitter feed and news sources, this icy drink launching under the Grumpy Cat brand will be coming to us soon! Available in Mocha, Vanilla and Coffee flavors, if you follow them on Twitter, they promise to have a 10% off promo coupon available as soon as the drinks officially hit the market.